Dubai Silicon Oasis (DSO) is a state of the art technology park and free zone located at the intersection of Sheikh Mohammad Bin Zayed Road (E311) and Al Ain Road (E66), and next to Academic City. It is one of the only free zones in Dubai where you can live as well as work. Besides office space, multi-use warehousing and manufacturing facilities, there are residential apartments, town houses and luxury villas. By 2014, ten years after the project was launched, more than a thousand companies had set up operations here. DSO comprises four component parts: industrial, commercial, educational and residential, all served by public facilities. In the two main residential areas, Cedre Villas and Semmer Villas, you can find both town houses and villas. Several high- and low-rise apartment buildings are to be found in Silicon Residences and Silicon Park. Properties are available to buy or lease. Construction of more housing is continuing around the perimeter of the district. There are two schools here, GEMS Wellington Academy and the Indian High School, as well as medical centres, community centres, shopping complexes, banks and a post office. One-click links to properties currently on the market in Dubai Silicon Oasis. Silicon Oasis has two community centres, one in each of the two residential areas, Cedre Villas and Semmer Villas. They both have Spinney's supermarkets, a variety of shops and eateries and a swimming pool. Throughout the residential areas there are children's wading pools, squash courts, gymnasia, yoga rooms, nursery rooms, and multi-purpose halls. The large parks have BBQs, pergolas, children's climbing equipment and sails to provide shade. There are two floodlit tennis courts in each community. It is only five minutes to Sheikh Mohammed Bin Zayed Road, and from there the drive time to the Dubai Mall is 18 minutes, to Downtown Dubai or the International Airport 20, to the Mall of the Emirates 26, to Dubai Marina, Jebel Ali Port and Port Rashid 30, and to Abu Dhabi 1 hour 30 minutes. Silicon Oasis is not served by the metro, although there are plans to bring it here in time for the Expo in 2020. We currently maintain records for 3 sub-communities in Dubai Silicon Oasis. We currently maintain records for 164 building developments in Dubai Silicon Oasis. 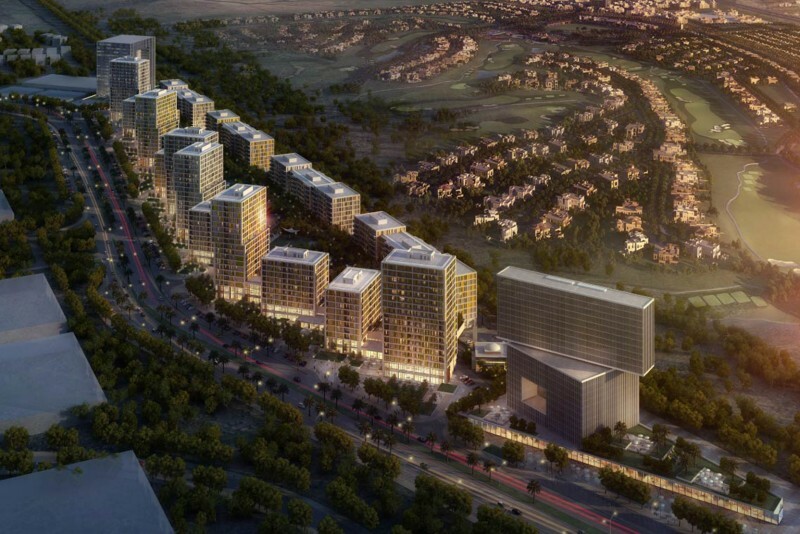 View all Dubai Silicon Oasis building developments. Dubai Silicon Oasis reveives an overall rating of 1 based on 1 review. Users were asked to consider many factors including the view, finishing, layout, noise levels, traffic, public transportation, parking, security, swimming pool, gym, and maintennance.